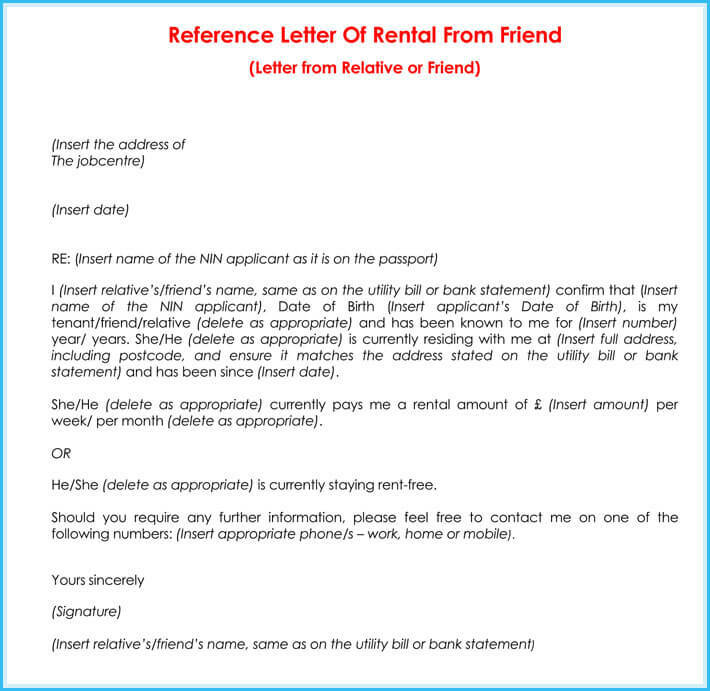 A Rental Reference Letter is a letter written by landlord, it contains tenants information. It can be used when the tenant wants to rent a different place. 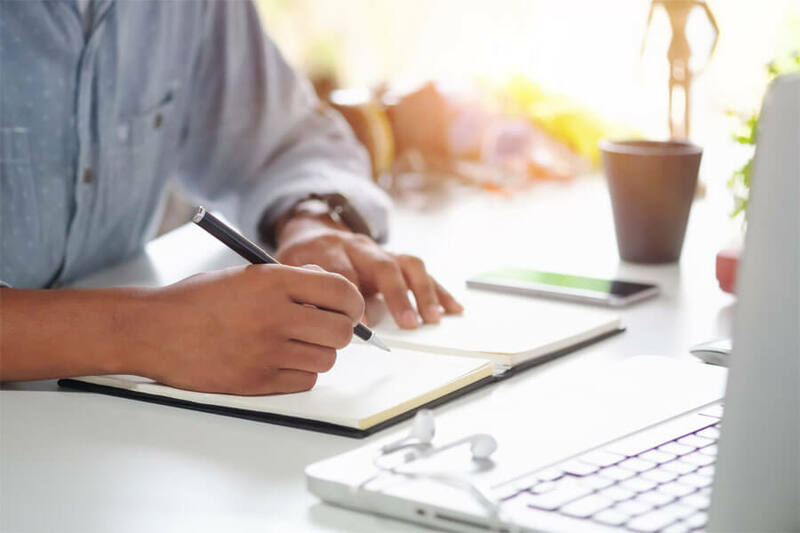 It can also be useful in the place of work ,where the tenant is looking for a job. 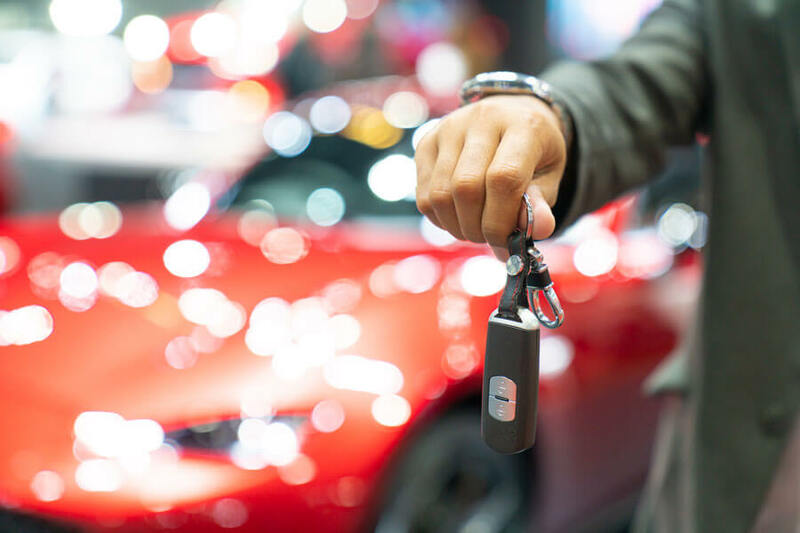 Lastly it can also be used by creditors, to grant the tenant a loan. The date in which it is written should be indicated and the person to whom it is addressed (format -To whom it may concern). 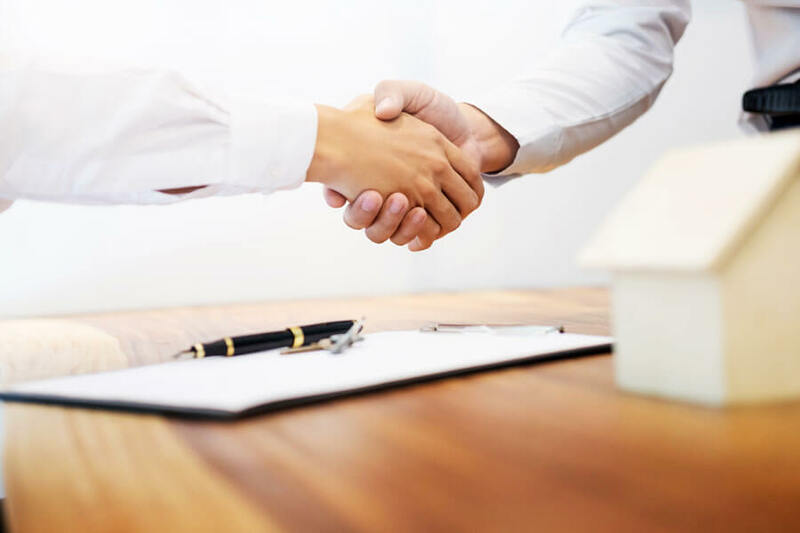 Tenants official name, the address of the rental property and the date in which the tenant occupied that property should also be indicated. The letter should also give information on how the tenant was paying rent. That is whether the rent was paid on time or late and if it was paid late, was the tenant alerting the landlord. It should also provide information on the condition of the property. Whether the tenant took care of it and if he/she left it in good condition. It should also give information on the tenants behavior. Was the tenant alerting good person, was the behavior good, what kind of relationship did the tenant have with other people, would you lease the property to the tenant again if he/she choose to stay. 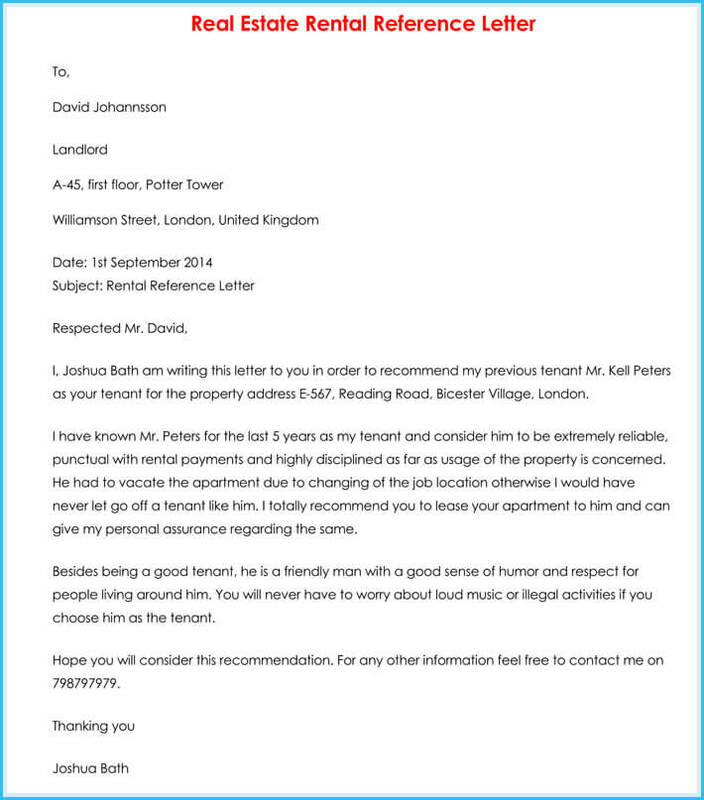 Lastly the letter should contain landlords contact which would be important if any clarification would be needed. I recommend John Mwangi who has been my tenant of property 2000 Kanu street as from 05/03/2011 upto date. He has been paying rent on time and incase of any delays he would inform me in advance. He took good care of the property and he left it in good condition. He is a good person, with good behaviour. He relates well with other people. Although he had this problem of playing loud music. We talked about it and he rectified it. I would rent him my property again and again if he would choose to stay. You can reach me through this number 0703999225 for any clarification. 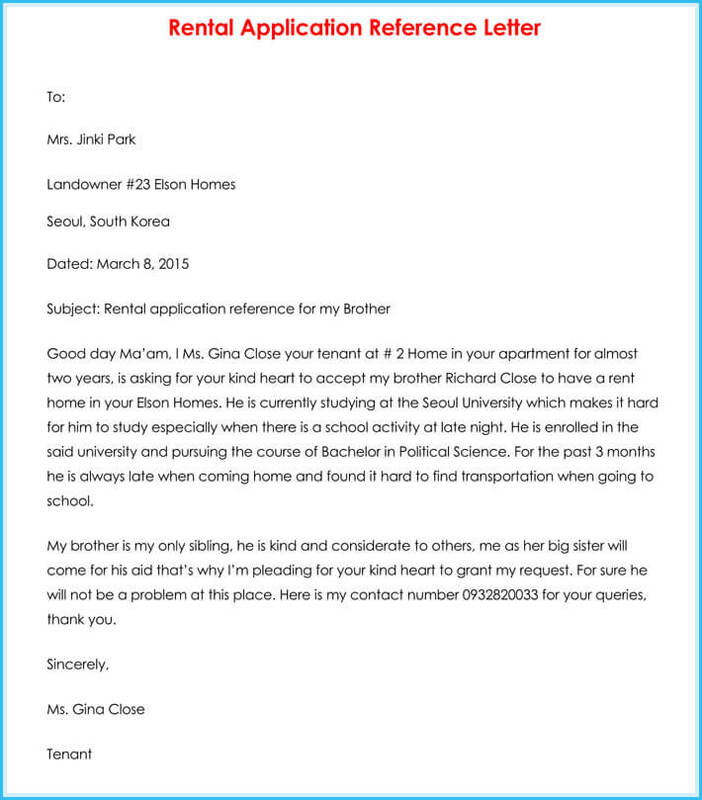 This is a kind of a letter written with the intention of convincing the apartment or property owner, that the person planning to rent is of good character. 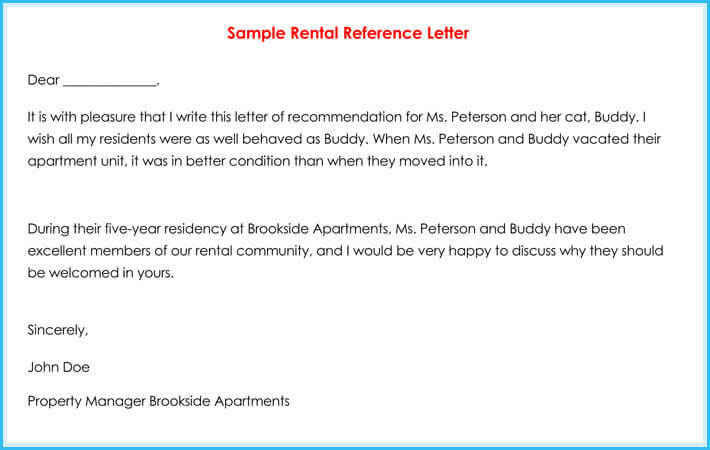 You are required to write a persuasive letter to make sure your friend occupies the apartment. You must use good and polite words in the letter. Give an assurance that the person is well known to you. Make sure to leave behind your contacts, in case the property owner would like further information from you. The letter is written to assist the tenant in finding another apartment to rent. 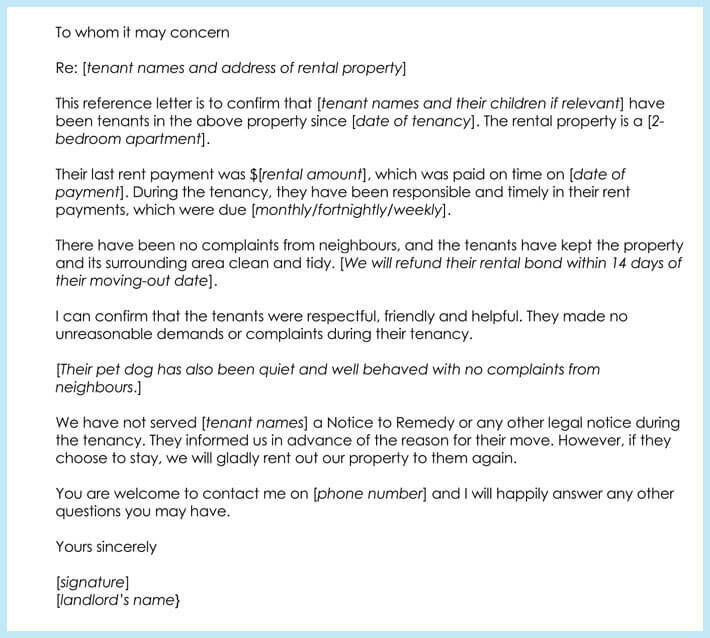 The management of the apartment writes this letter, giving the character and behavior of the tenant. In most cases, this letter is important, especially when moving to a new area. If you are asked to write this letter, use good and kind words. Demonstrate in your letter that the tenant was trustworthy and made payments in time. Leave behind your contacts for further details. This is a kind of letter written by a prospective tenant to the property owner, asking for tenancy of a friend or relative. 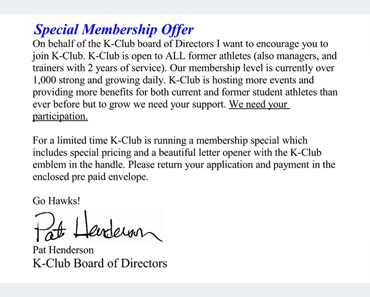 Typically, the letter has to be official and with proper salutation. 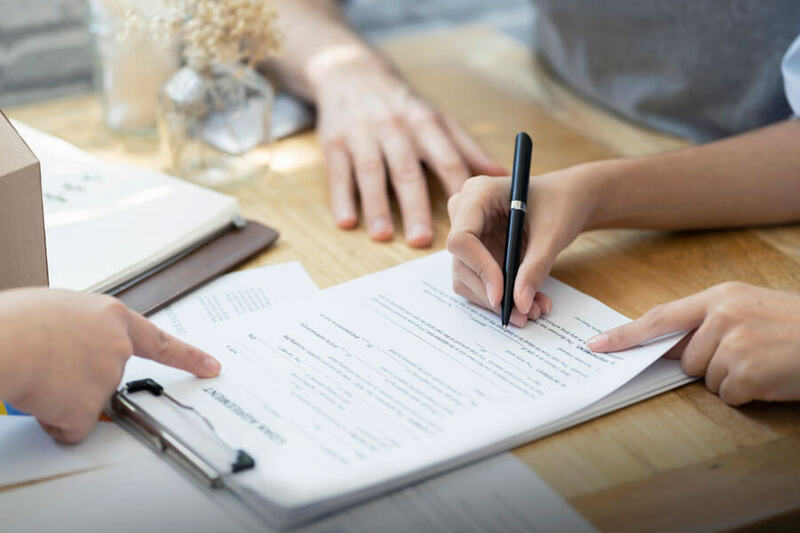 You should state the reasons why you are requesting another person tenancy. It is also very important to show the relationship between you and the subject. Use good and polite language to convince the property owner. 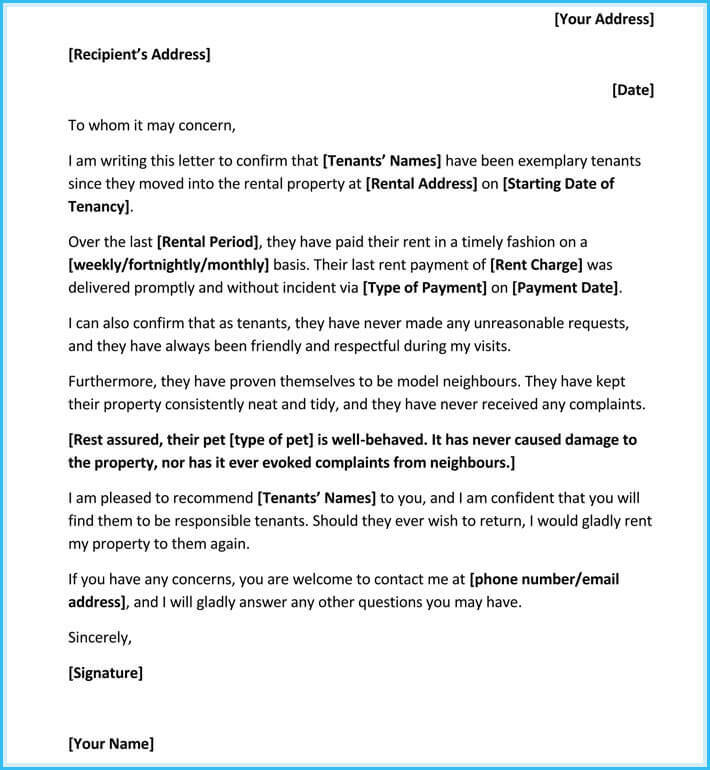 The property owner giving the basic information about the tenant writes this letter. This letter is very essential when looking for another property. 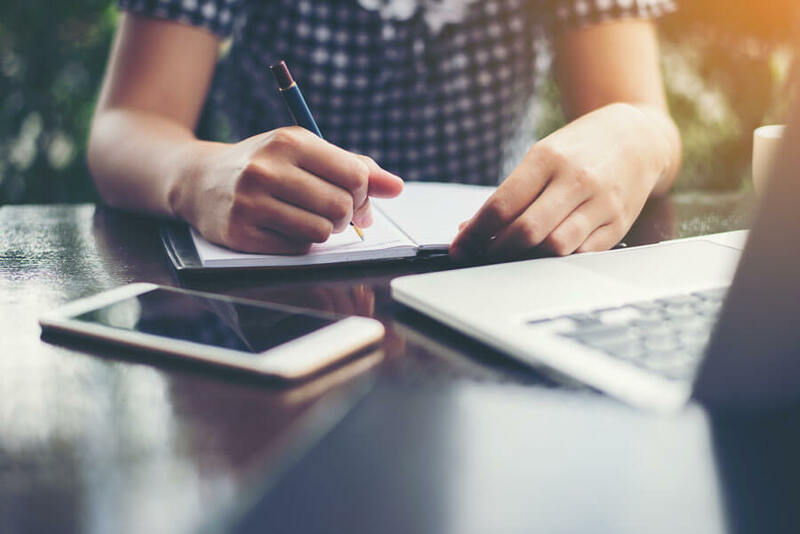 The property owner writing this letter should demonstrate the tenant behaved or related with other tenants. Information concerning rent payment should be included. The social welfare of the family is also important. Leave your contacts details in case of further questions. Additionally, the letter can be used when looking for a job. This is an official letter from the company to the prospective property owner. It is important to include the physical address of the company. The information should be honest. Give information on how the tenant behaved while in the apartment. Information concerning rent payment is very important. Leave your contacts in case of further questions. 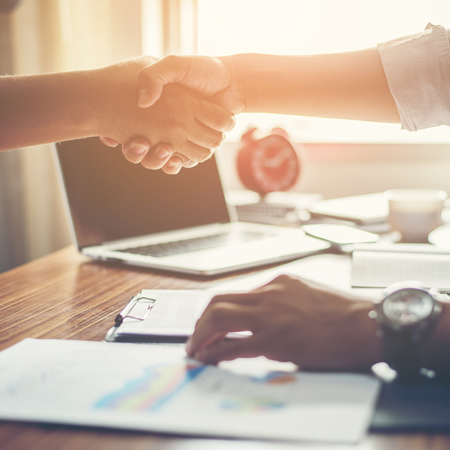 Finally, you should use kind and polite words while recommending the applicant. This letter of reference should have all the basic information of the applicant. Additionally, you should demonstrate the relationship between the two of you. State the amount of rent he or she pays to convince the recipient that he or she can manage the new rent fee. Give information concerning the current residency or tenancy. Demonstrate the behavior of the person with other tenants. Give your contacts in case of further questions. Use good and polite language. Information on paying rent fee in time is very vital. A property owner writes this letter to another property owner. 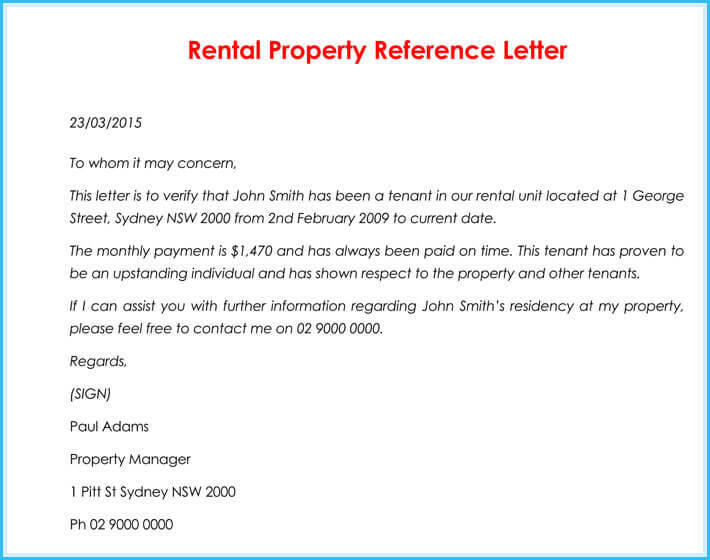 The letter contains information about the tenant. This letter is effective when the tenant desires to rent another place. 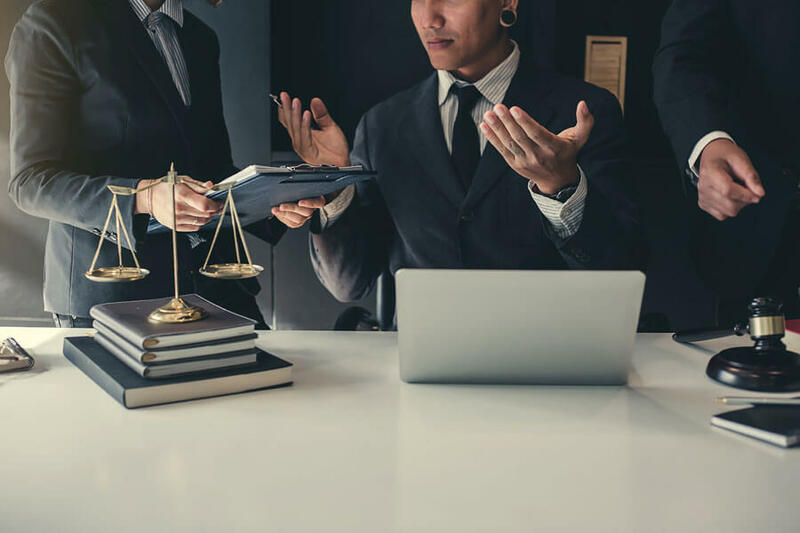 The recipient is given the information concerning the tenant behavior with other tenants. 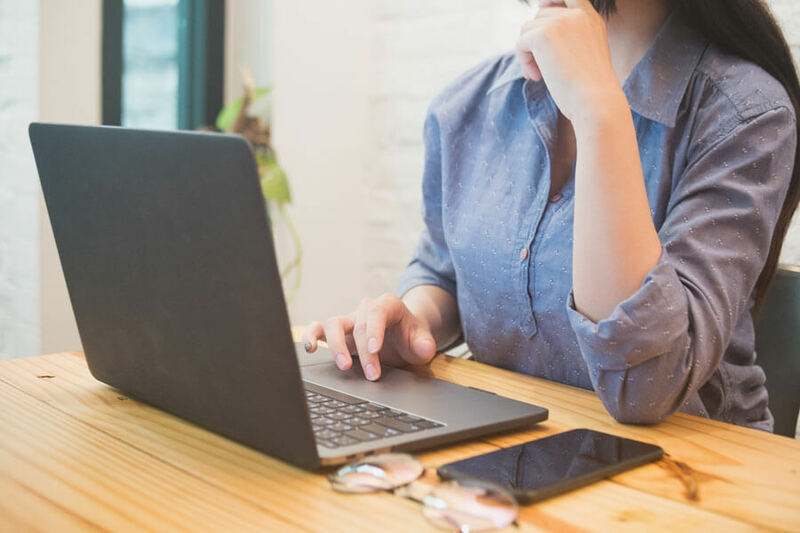 It can as well be used when looking for a job in real estate companies. 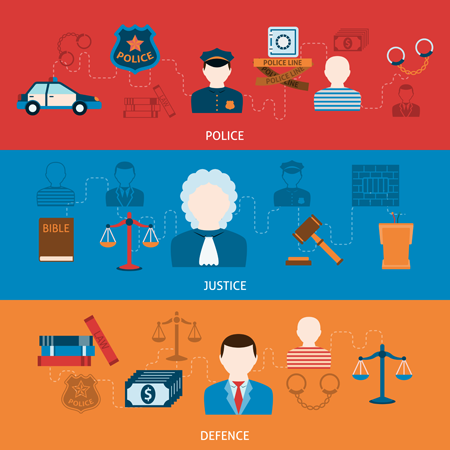 Generally, property owners appreciate the honest information. 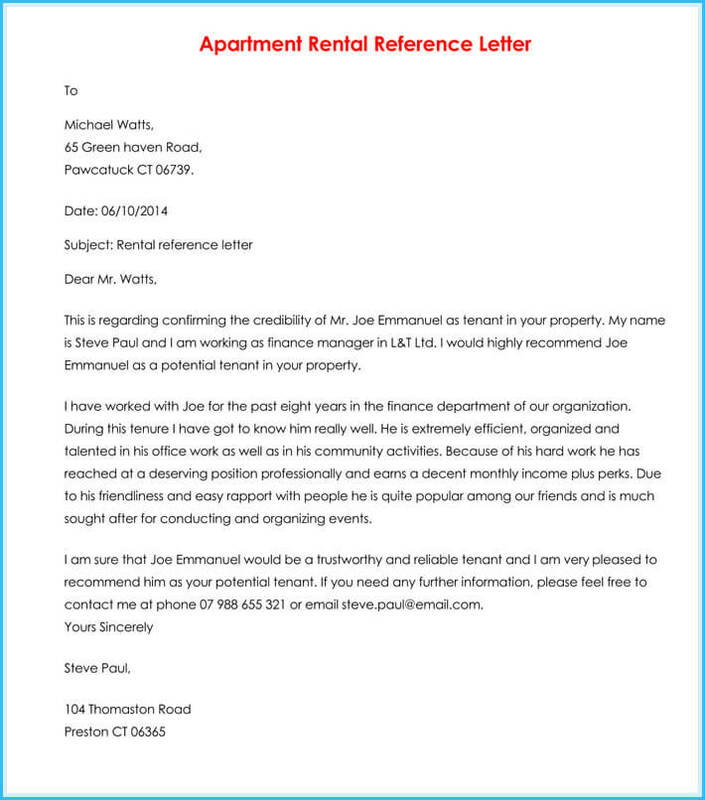 Property owner writes this letter describing the conduct of the outgoing tenant. 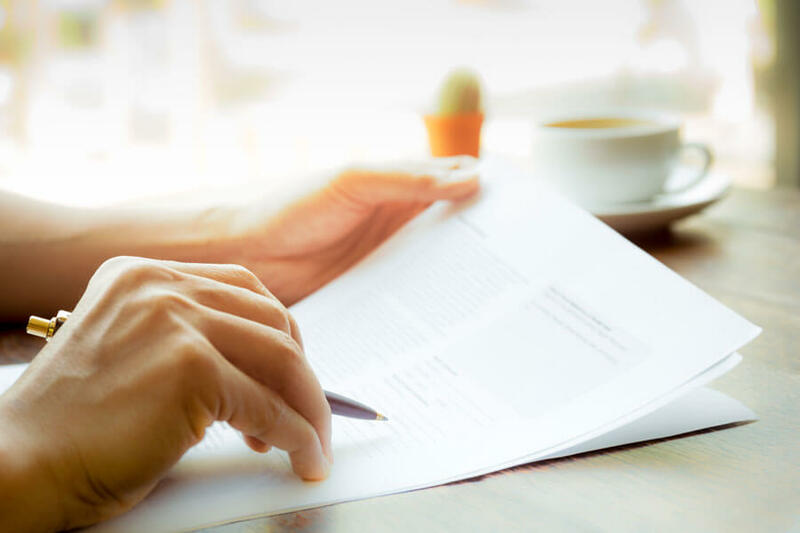 The letter includes information concerning the tenant relationship with other tenants. It is important to include the names of the family members and pet if any. The letter should demonstrate the trustworthy of the tenants. Remember to use goo and polite language to convince the recipient. This letter is addressed to a property owner form another property owner. 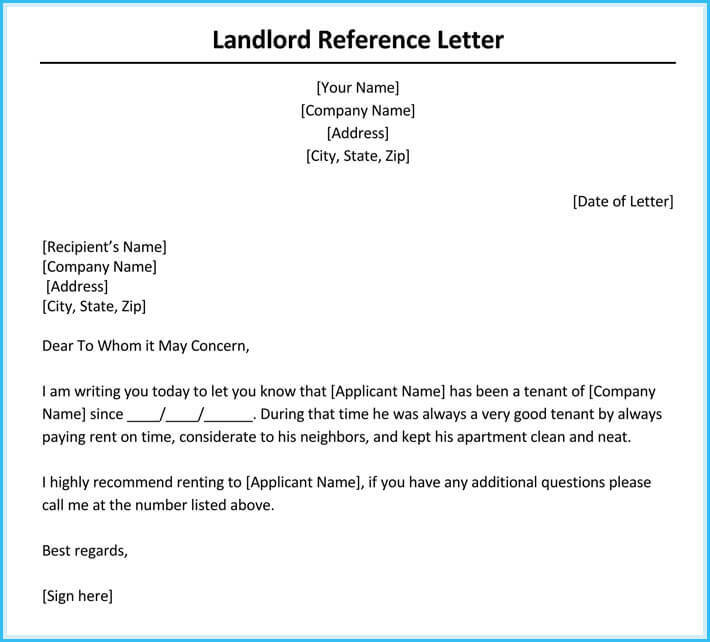 The letter contains personal information of the tenant. The detailed information is given out demonstrating their relationship with other tenants. Good abilities are mentioned in the letter like paying rent in time among others. The use of good and kind words is very important to convince the recipient. In the letter include the name of the tenant, family member, and pet if any. You should provide contacts details in case of any questions. In conclusion is that this letter is of great importance to the tenant. Hence the landlord should avoid including negative information in it. Also the landlord should avoid being too positive or making the letter personal. This to avoid suspicion of biased information.